THE KEEPERS OF CAMELOT: When King Arthur, Guinevere, and Lancelot are again united on the 1880’s western frontier, can forgiveness bring them the peace that has eluded them for centuries? It’s an unforgettable Christmas brought about through one young boy’s steadfast belief in rekindling the glorious hope of the greatest legend of all time. THE KEEPERS OF CAMELOT was a 2013 Western Fictioneers Peacemaker Award finalist in the short story category. THE KINDNESS OF STRANGERS: Jericho Dean has one thing on his mind: revenge for the murders of his wife and two little girls. As he closes in on the ruthless gang of Comancheros responsible for the crime, he is joined by an odd cowboy, Freeman Hart, who possesses some powerful magic. The two men come upon the outlaw band as they are attacking another homestead, and Jericho must make a decision. Will the relentless pursuit of vengeance destroy him, or will he find redemption and a reason to live in the eyes of three orphans who are left with no one to care for them but him? SHOT FOR A DOG: At sixteen, Lucas Marshal is eight years older than his half-brother, Jeremiah. His hatred and jealousy of Jeremiah is all-consuming, until one dark day, it gets the best of him. Luke does the unthinkable, and shoots the family dog, Shadow. In trying to prevent it, Jeremiah is killed, as well. Forced to leave home by what he has done, Luke finds he has a companion he didn’t count on, and can’t get rid of. A river runs with blood, he hears voices—does he have hydrophobia, or is he losing his mind? The doctor is his only chance. 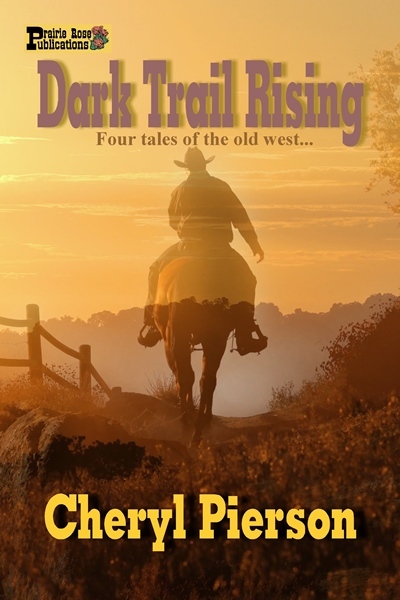 But when he gets to town, somehow, the townspeople already have learned what he’s done—and the sheriff has a terrible secret of his own that may, indeed, be the death of Lucas Marshal. HIDDEN TRAILS: Levi Connor has never run from anything in his life, and he doesn’t intend to start now. Wounded and riding through a blinding February snowstorm, he discovers a reason to exist when a beautiful mixed-blood girl takes him in and heals him. Valentine Reneau lives in fear that her father will find her someday. 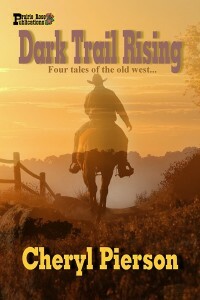 Time runs out when a stranger shows up on her land with two hired guns—and the devil in his plans. Will Levi kill for a woman he barely knows? The chips are down, the guns blaze, and everything finally comes clear along these HIDDEN TRAILS…but who’ll be left alive?